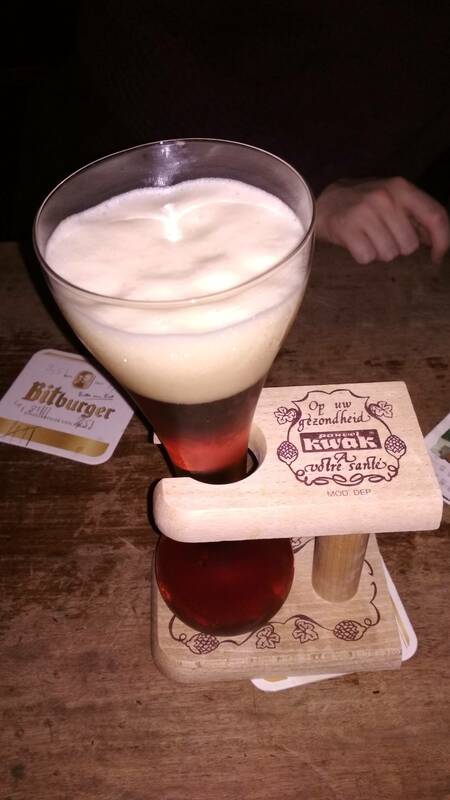 At the end of November (23rd - 28th), I took my holidays and traveled to Aachen to visit my friends. Domča and Heňo are spending their Erasmus there, and Thomas - my flatmate from Norway, lives there. I was almost unable to leave Zurich, as I got sick just a day before. But my father gave me very non-parental advice to go, as different environment might recover me, and Domča and Heňo prepared for me with ginger and other herbs, so I could not stay home. Luckily, I got better :). Thanks! Traveling by train was fine, train driving 300 km/h was cool, but not sufficient to catch the following train, so I got delayed in total by an hour. sulfurous thermal spring, smelling same as tasting, like eggs, but maybe it healed me. 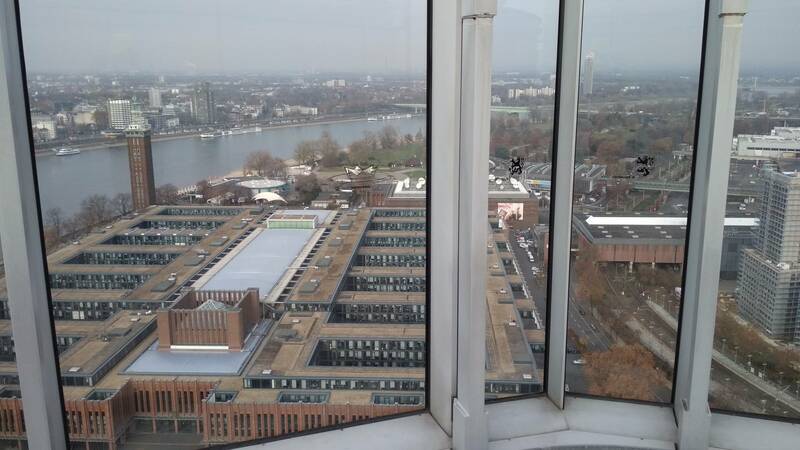 There should be this view over Aachen from RWHT C building. But we saw just this due to a conference on the top floor. We also visited the Lindt factory, which has a supermarket-sized shop full of chocolate and (Aachener Printen)[https://en.wikipedia.org/wiki/Aachener_Printen] factory. 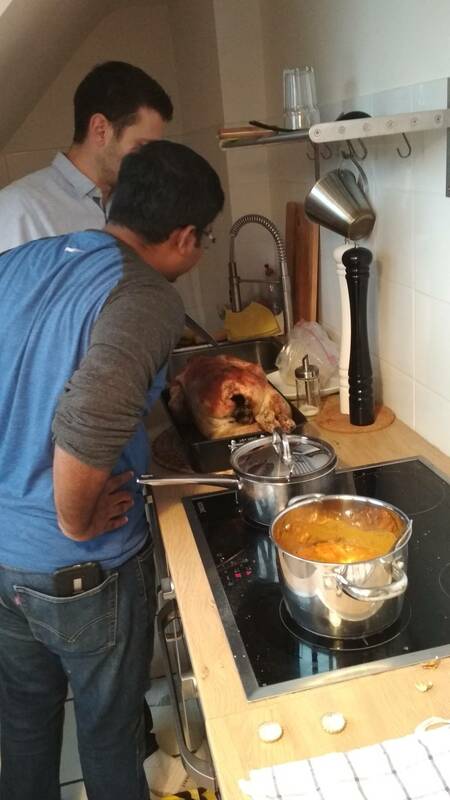 On Saturday, Domča and Heňo were invited for a Thanksgiving by their friend Cheny. It was in Düsseldorf, so I have seen another German city, huge compared to Aachen. Thanksgiving was a nice cultural experience - there was a lot of food available for just saying thanks :). And the food was amazing - turkey, pumpkin pie, casserole. As the guys were from everywhere, the cuisine was not US-only - Indian momo, onion pie, curry, Chinese Tangyuan. I do not remember everything. For better pictures, visit Domča’s blog. 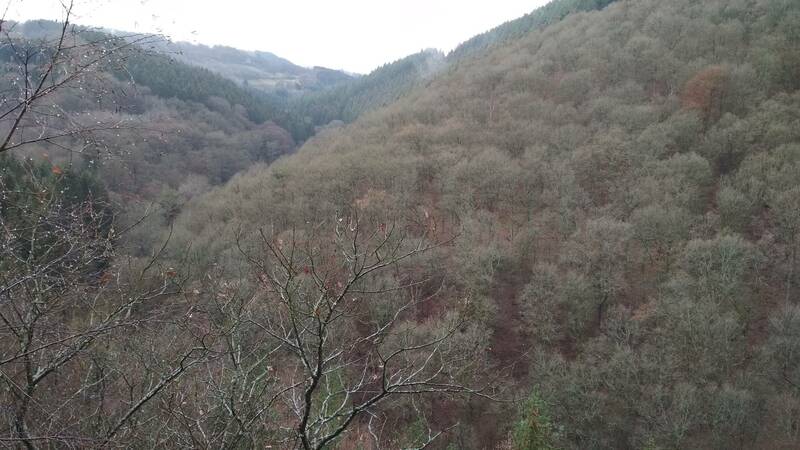 On Sunday, Heňo took me for a walk from Monschau to Einruhr, by the river of Rur. It was the first phase of the Eiffel tour. A nice late autumn walk ended in a restaurant, where I tried traditional Zwiebelkuchen, and it was delicious. 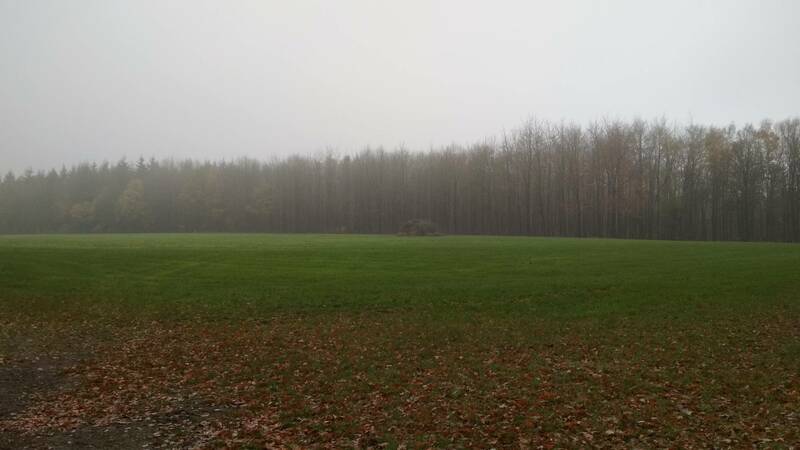 Typical weather in Aachen area. And nature was similar to the Czech one :). On Monday, I went alone on a dangerous mountaineering tour. 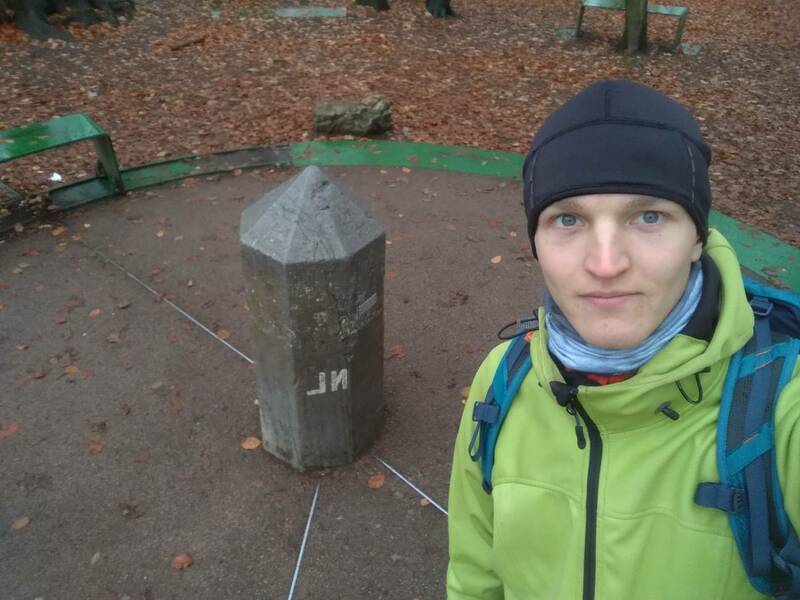 I decided to climb the highest mountain in the Netherlands. The way was steep and full of perils and navigation was difficult due to foggy weather. You have to walk down from Germany. 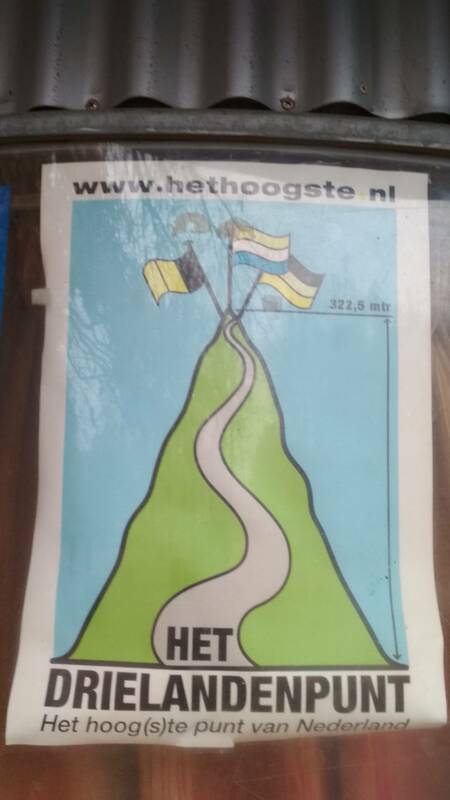 So if Germany wants to troll their geography teachers, they can every year give a gift of several meters of their land and change the highest point of Netherlands. Idea based on Norway’s gift to Finland. The hill is steep only in a direction to Netherlands (it is a tripoint - border of Germany, Netherlands, and Belgium, historically it was even quadripoint). How you suppose to feel. How it really looks like. 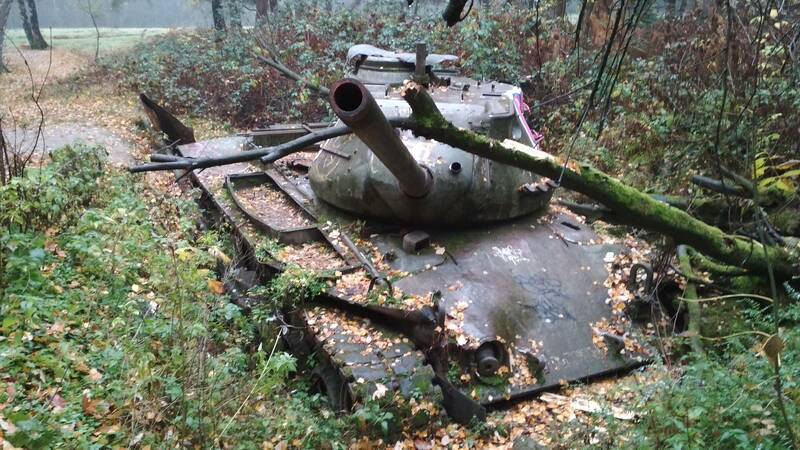 On Tuesday I visited proving ground, where were supposed to be tank wrecks. 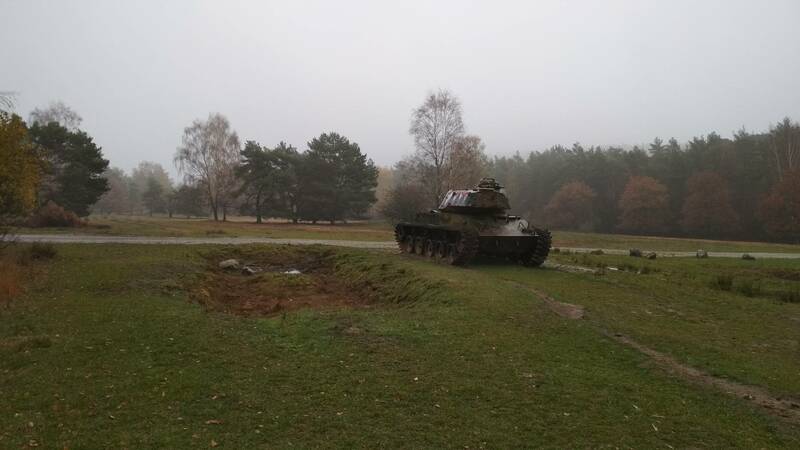 To my (and Heňo’s surprise), it was an army exercise area, several army cars and guys shooting around me. If you know, how pacifist I am, you can imagine how unfriendly place this was for me. Enjoying beer(s) with Heňo and Thomas. I also tried Kariwurst and liked it so much, that I cooked it this week in Zurich. 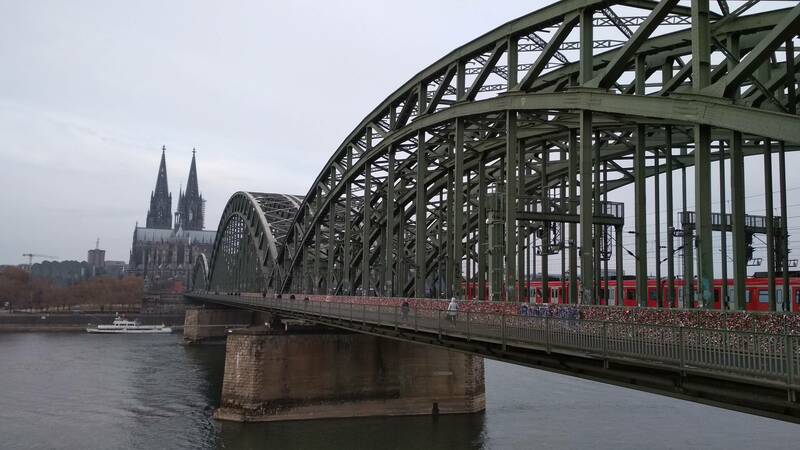 On Wednesday, my train to Zurich was going in the late afternoon, so I decided to spend some time in Cologne. The plan was to spend there 5.5 hours, but due to one hour delay of Aachen->Cologne train, I got just 4.5 hours. Love lock bridge and cathedral. 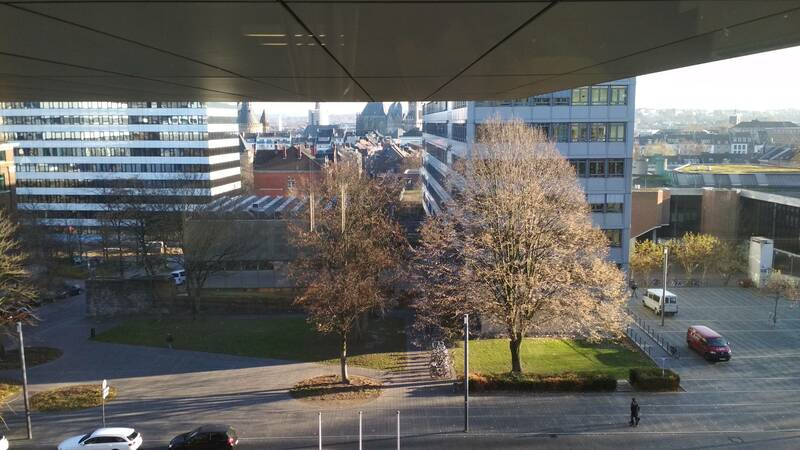 Augumented reality - view from KölnTriangle. 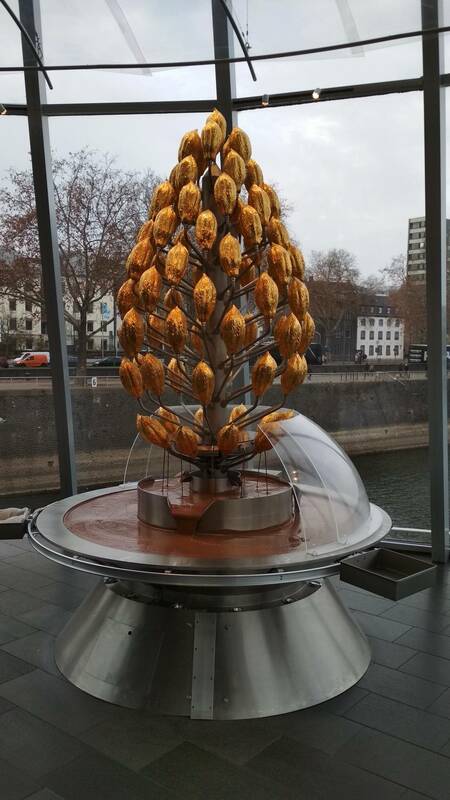 Visiting the Lindt chocolate factory is a great idea for a trip from Switzerland to Germany! Swiss chocolate is better. But Swiss chocolate factories do not have a tropical greenhouse with such nice signs. Chocolate fountain. But you cannot serve yourself, and you can only take a single waffle from the crew. 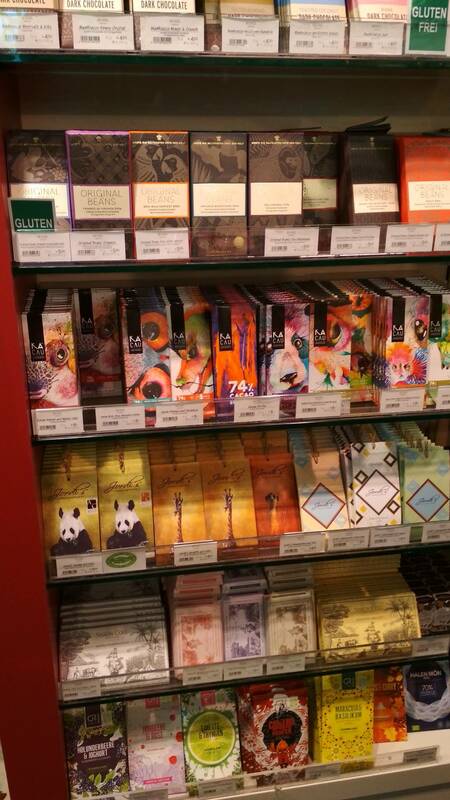 Do you wish to buy Czech chocolate in the Lindt factory in Germany? Congrats Jordi’s to become international. 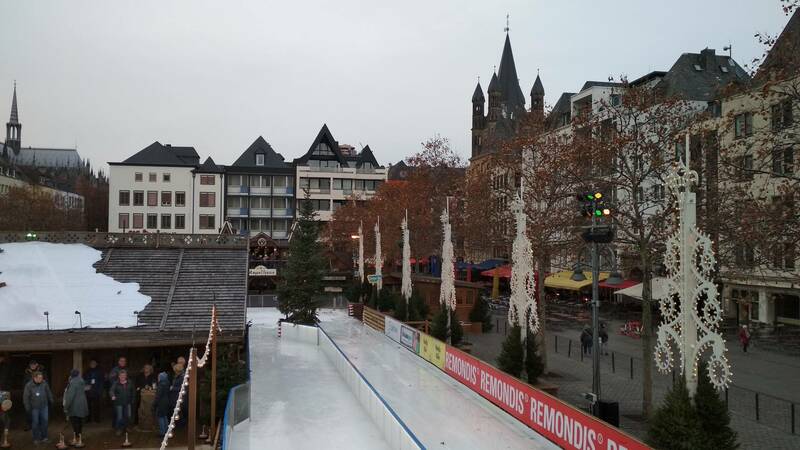 One Cologne’s square with markets and ice-skating. 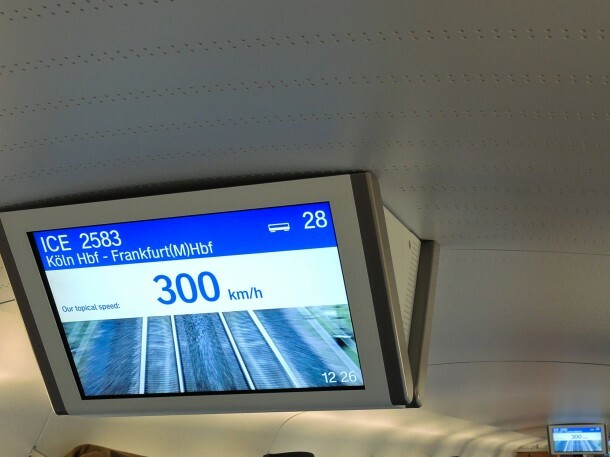 Of course, the trains were delayed even on the way from Cologne. Germans are no longer pünktlich as I thought. They just do not care and stress about delayed trains anymore. At least I had some time in Mannheim for shopping some salami and sausages. Now it seems I went to Germany just because of good food. It is not precise; I went to Germany to visit friends and also for good cheap food :D.